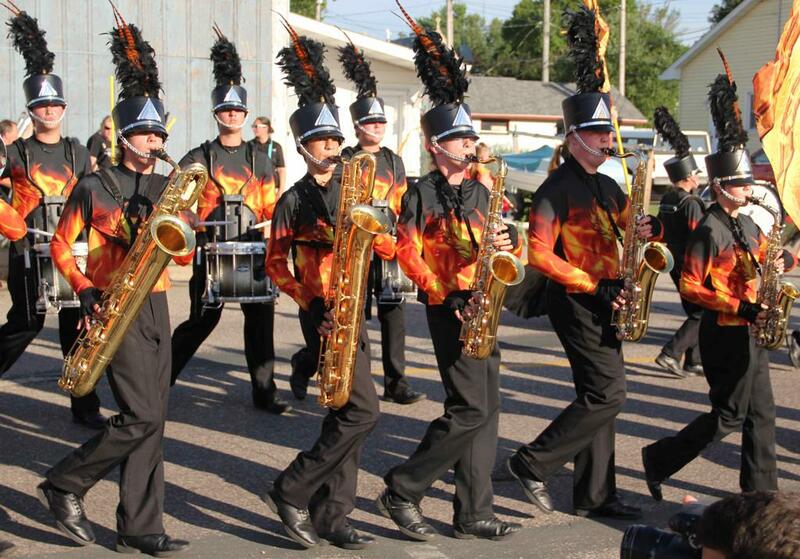 Students in the 728 Cadets Marching Band enjoyed another spectacular marching season. 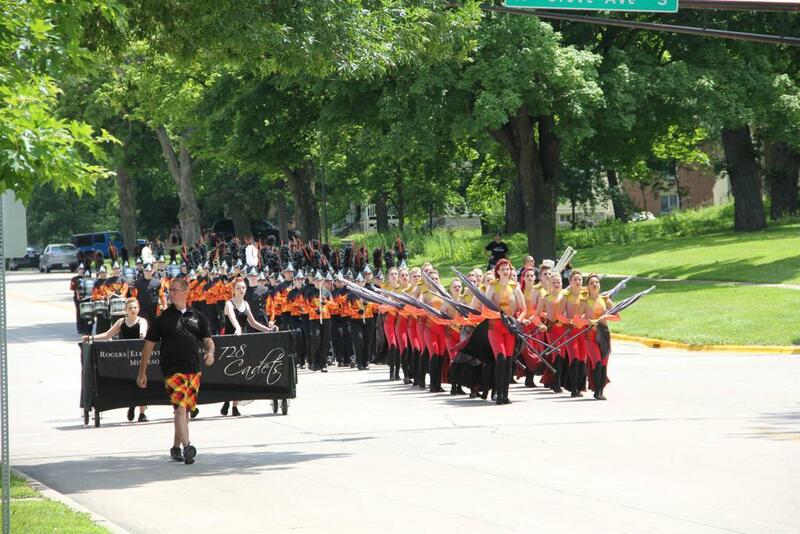 Since May the Cadets competed in parades across the state of Minnesota, and in St. Louis, Missouri, marching in the Veiled Prophet Parade on July 4th. 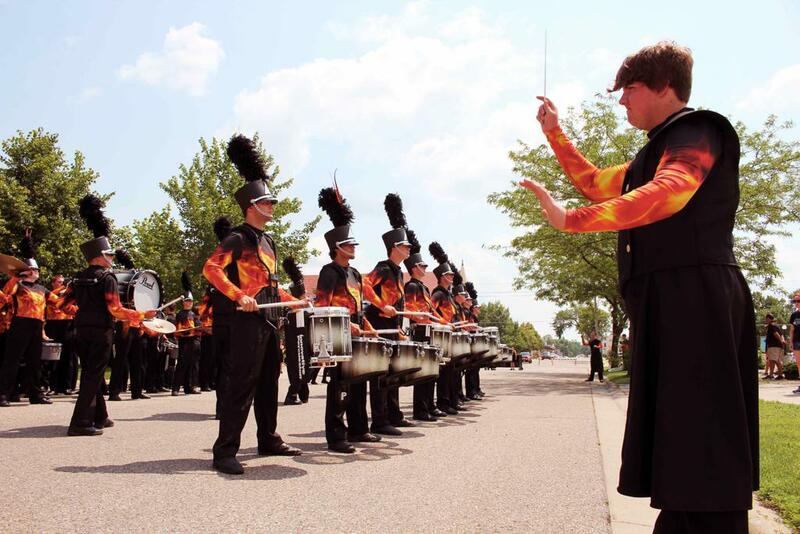 Their dedication and hard work allowed them to achieve two of their season goals; to retire two Grand Champion awards – a traveling flag from the Vikingland Band Festival in Alexandria, and the Owat-onia trophy from the Henry Wenger and Waconia Band Festivals. The honor of retiring each award is achieved by earning Grand Champion awards for three consecutive years. 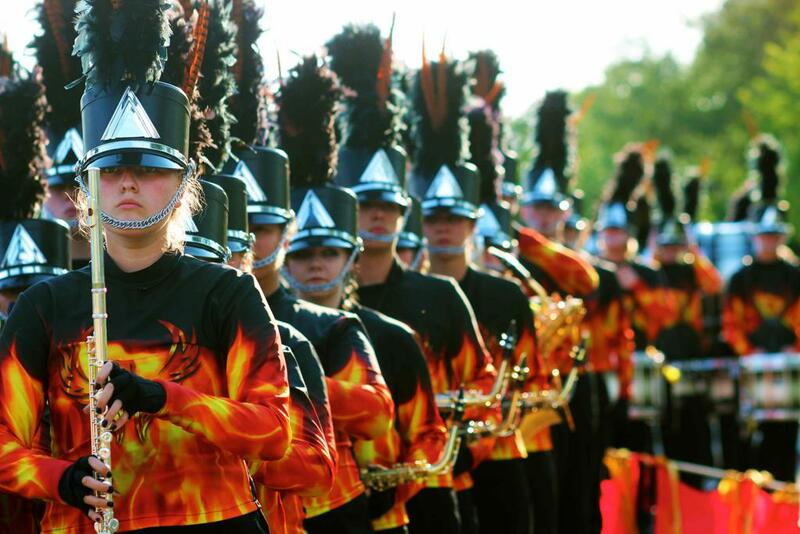 In total this season the Cadets earned 42 awards, including 15 awards for Grand Champion and First Place, 9 for Best Color Guard, 8 for Best Drumline, 3 for Best Winds, 2 for Best Drum Major, 1 for Best Marching and 3 for People’s Choice. 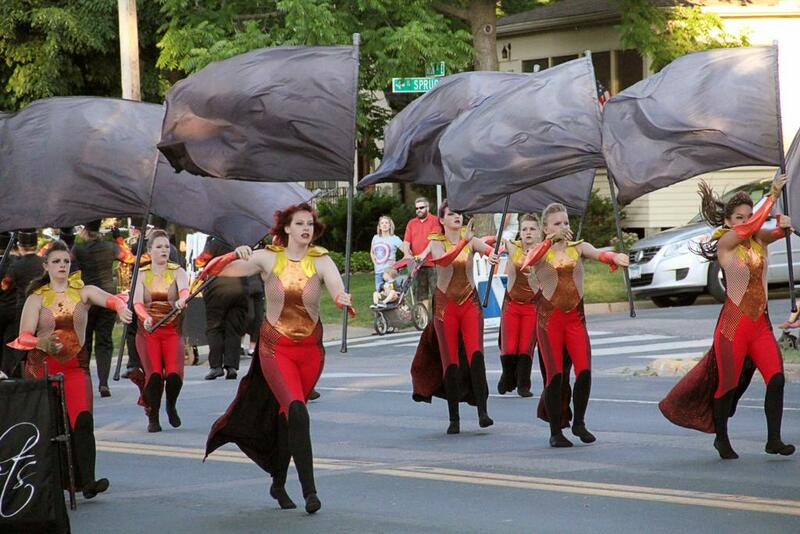 The Cadet’s show, “Rise,” told the story of the Phoenix, a fiery bird from ancient mythology. The Phoenix obtains new life by rising from the ashes of its predecessor in a constant cycle of birth, death, and rebirth. The show’s first movement included the music, Dies Irae: from Requiem by Giuseppe Verdi, and depicted the Phoenix in the final moments of its life, collapsing in flame and losing its wings. During the second movement, the band performed an arrangement of Adagio for Strings by Samuel Barber, and portrayed mourning the Phoenix’ death. The final movement illustrated the triumphant rise of the Phoenix from the ashes with Festive Overture by Dmitri Shostakovich. 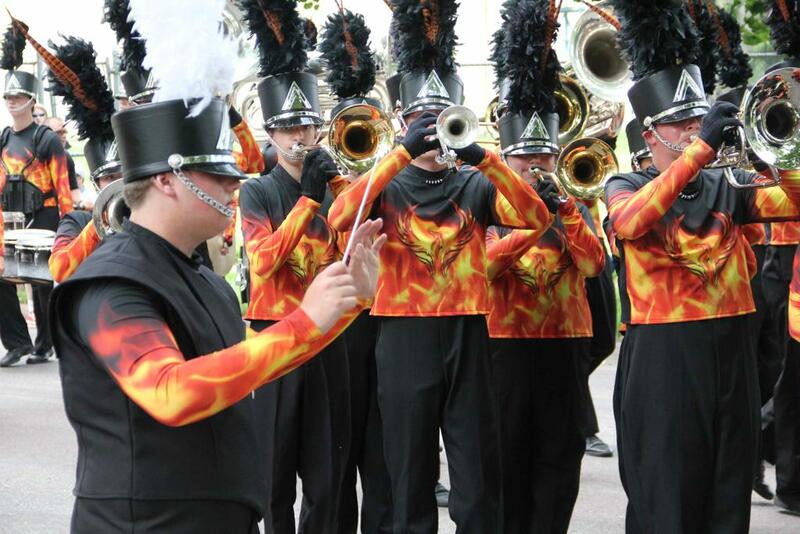 Cadets' co-directors, Michael Reed and Joe Jaeger, sought to challenge musicians with this repertoire, marrying the demanding music with bold visual elements and artistic movement, including a colorful representation of the Phoenix weaving through the performance. 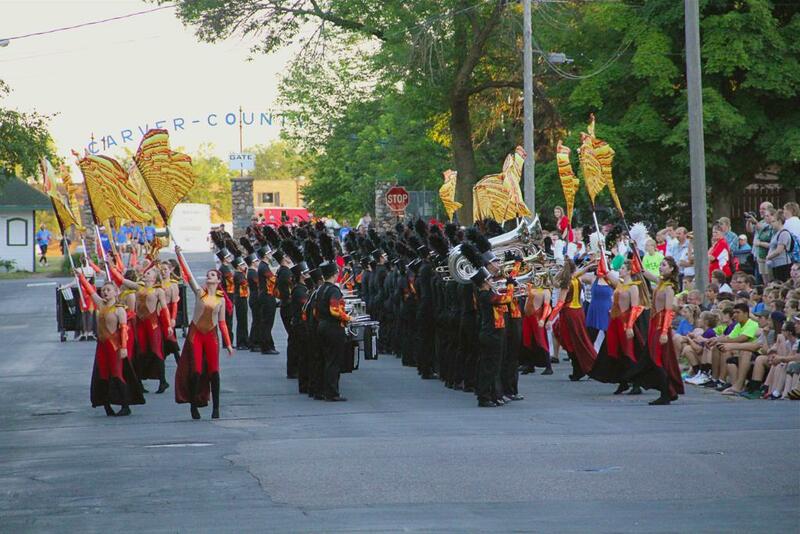 The Cadets first major success came on June 20th, when competing in the Harry Wenger Band Festival in Owatonna, and the Lake Waconia Band festival in Waconia, MN. 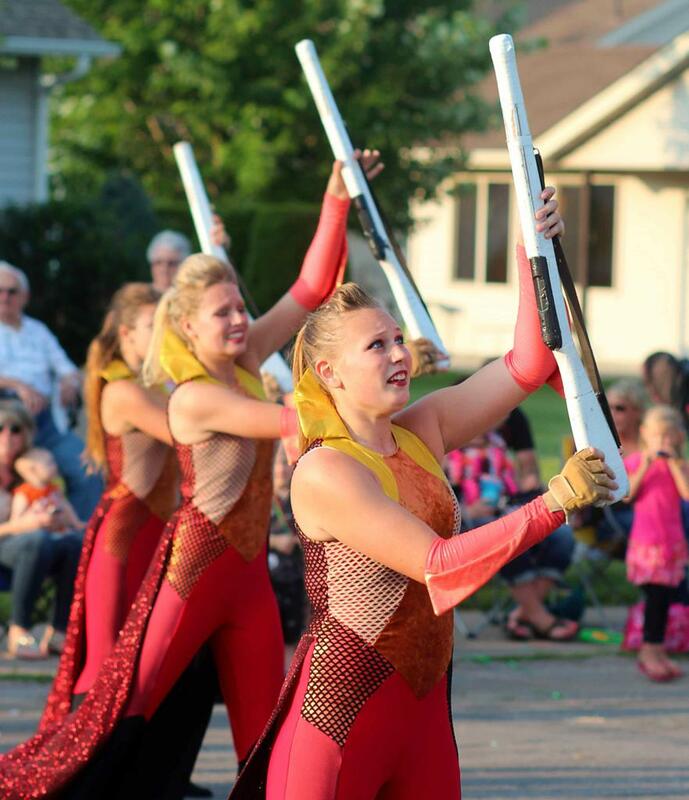 In the morning, at the Owatonna festival, the Cadets won many caption awards, as well as the People’s Choice Award, but came in third overall. 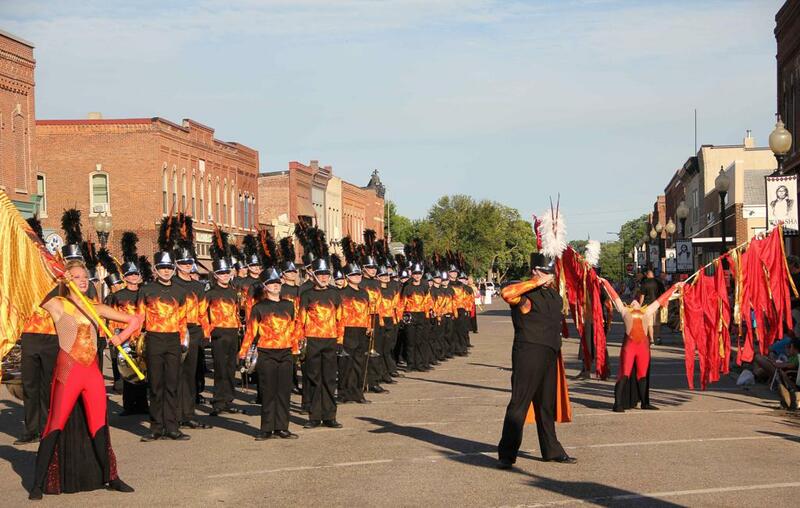 That evening, the Cadets rallied at the Waconia festival, earning first place in their class, winning all caption awards, and received the day’s second People’s Choice award. 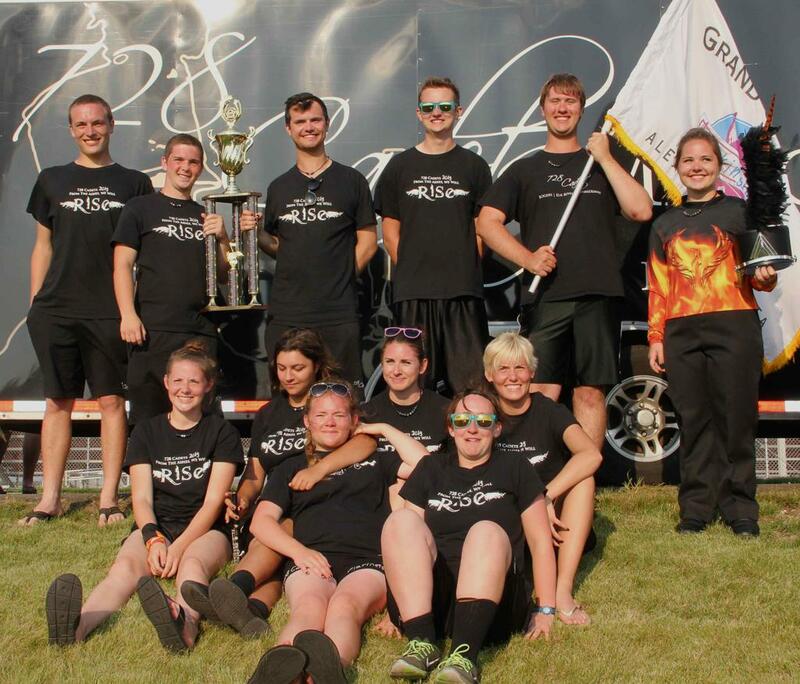 With the Waconia victory, the Cadets achieved the highest combined score of the two festivals that day and for the third year in a row, taking home the prestigious Owat-onia Award, and earning the right to retire the traveling trophy and keep it. 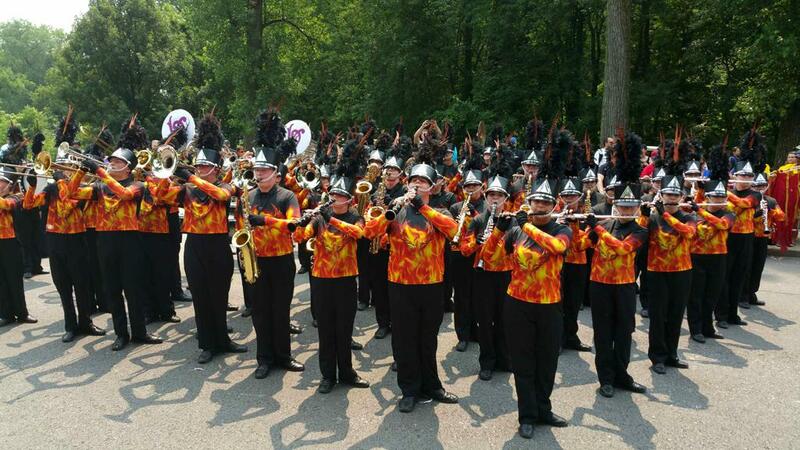 On June 28th, the Cadets traveled to Alexandria, home of the Vikingland Band Festival, one of the largest street marching band competitions in the Midwest. 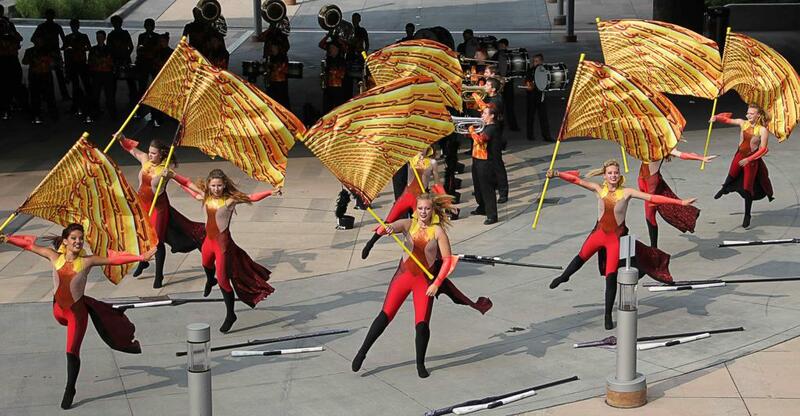 They received 1st place in Class AAAA and were awarded Grand Champion of the festival for the third year in a row; giving the honor of retiring both the AAAA class flag, and the festival's Grand Champion flag. 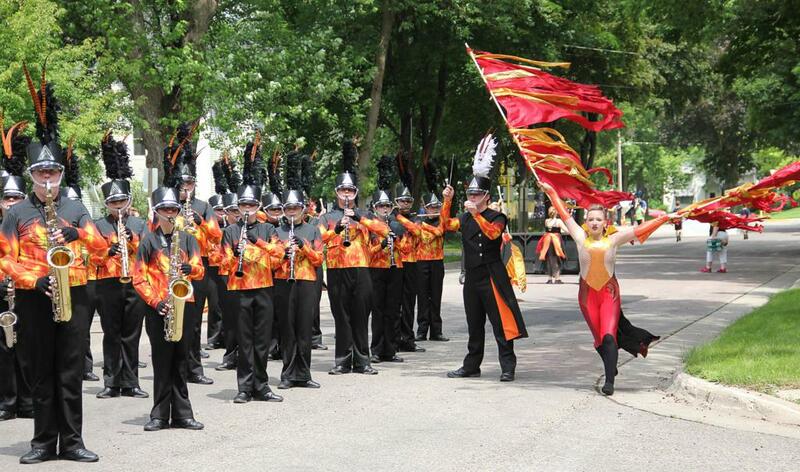 The Cadets are the fourth band in Vikingland Band Festival's 30-year history to retire the Grand Champion flag. 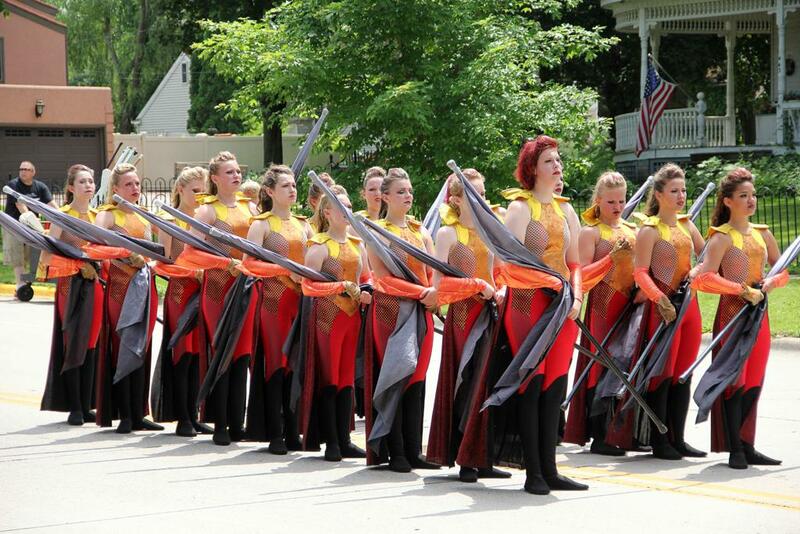 Other bands that have retired the flag are Litchfield (1989), Irondale (1993, 1996), and Waconia (2006). 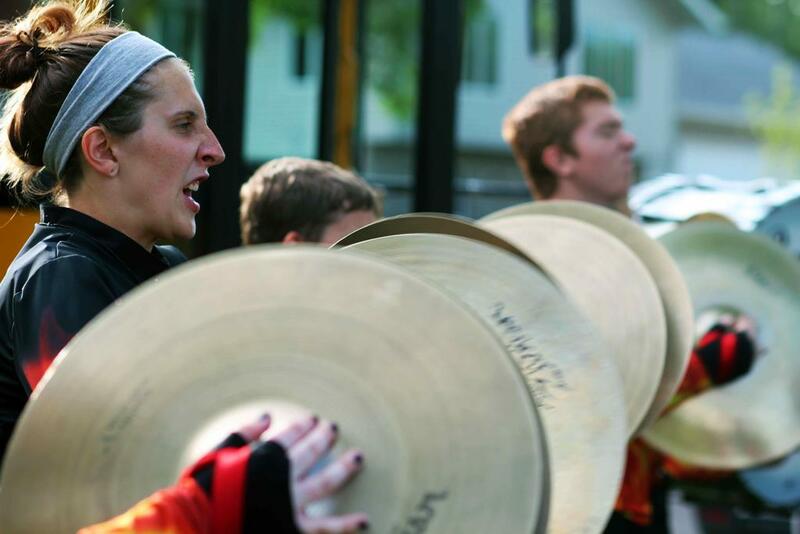 The Cadets are known for bringing a conceptual production to life on the streets and holding themselves to a high performance standard. In a recent article in the St. 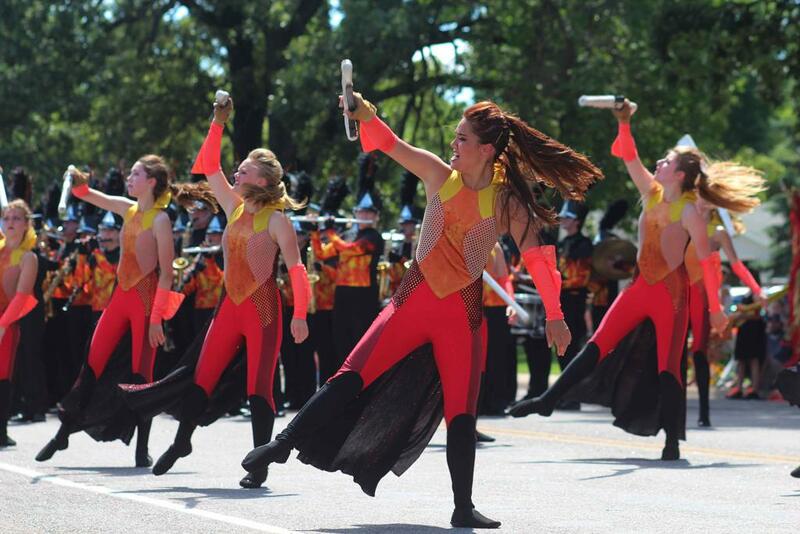 Cloud Times*, Tom Haugen of Tri-State Judges Association said about Minnesota marching: "It [Minnesota] is the only state in the United States that has a competitive marching parade program." Assistant judge, Lane Powell, added, "People don't get that this is truly unique to Minnesota... they [bands] do shows in the street. 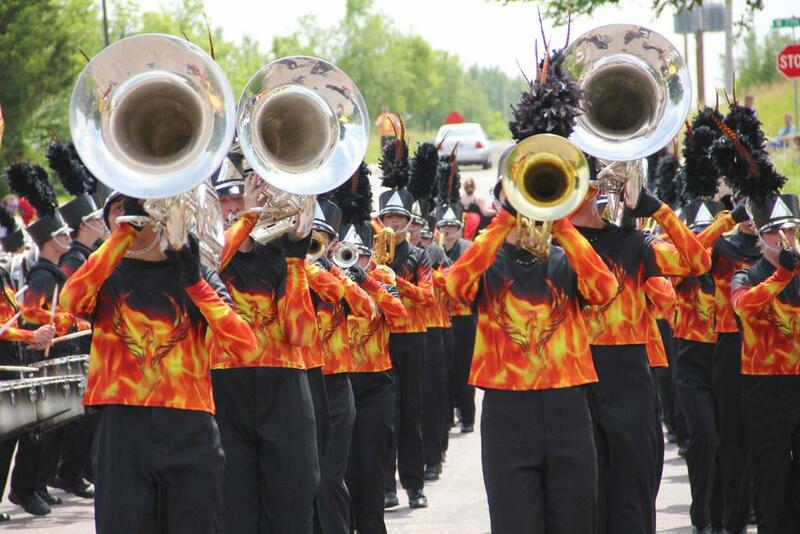 You go to Iowa this won't happen, they just do a straight traditional march through." 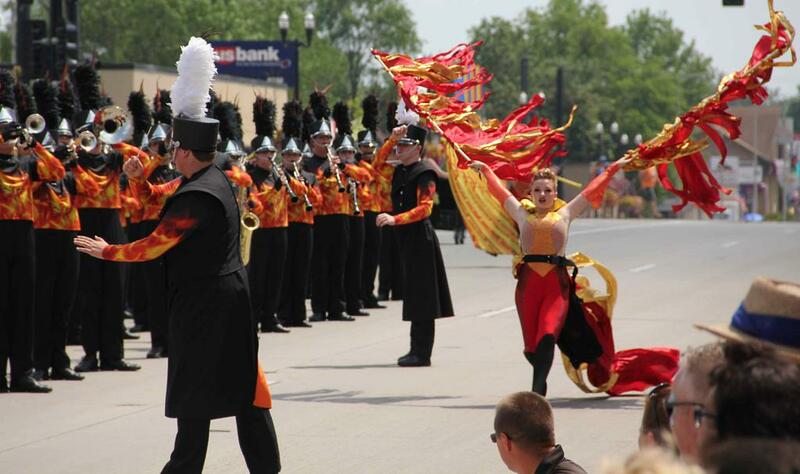 When the Cadets traveled to St. Louis, Missouri and marched in the Veiled Prophet Parade on Independence Day, the parade attendees were captivated by the Cadets' performance on the streets. Director Mike Reed summarized their show by saying, "The 728 Cadets have always been a crowd favorite. We built upon our past successes and created a challenging production for all members and still provided a show that was entertaining, but had a real message at the same time. 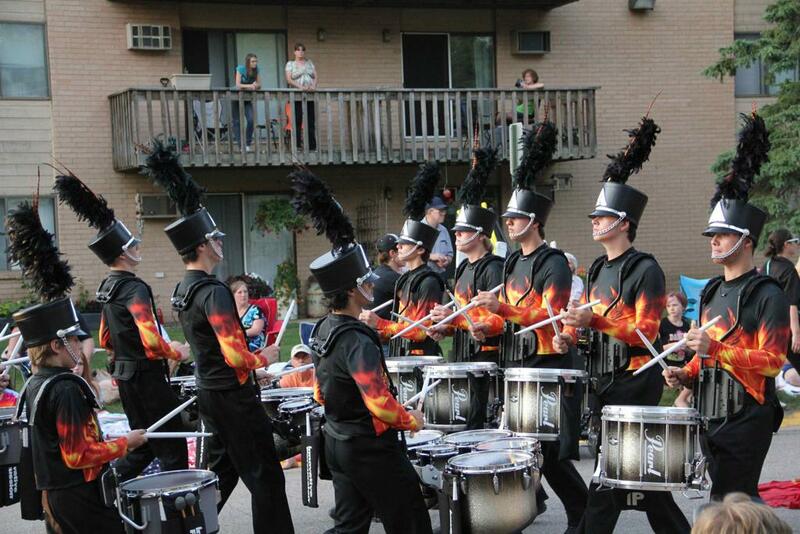 By providing a challenging repertoire and visual theme, we brought to life a memorable experience for our members and the fans on the streets where we marched." 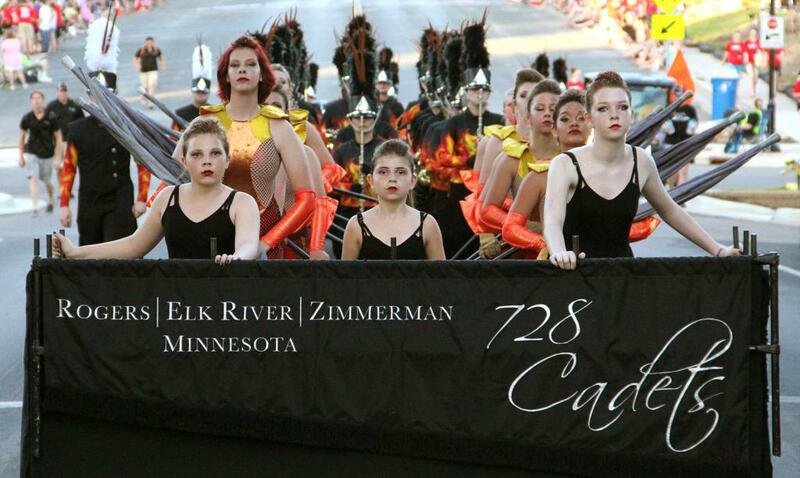 The 728 Cadets Marching Band was made up of 93 talented students from District 728 schools, including Elk River, Rogers, and Zimmerman middle and high schools. 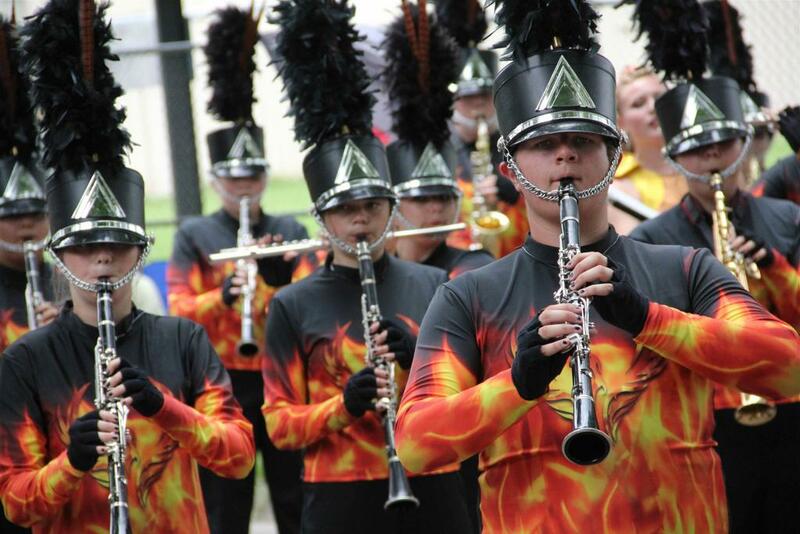 In addition to the educational value they receive from their instructors, the students enjoy the excitement their performances bring to events as well as the relationships they build through meeting other students across the school district, and from other bands. 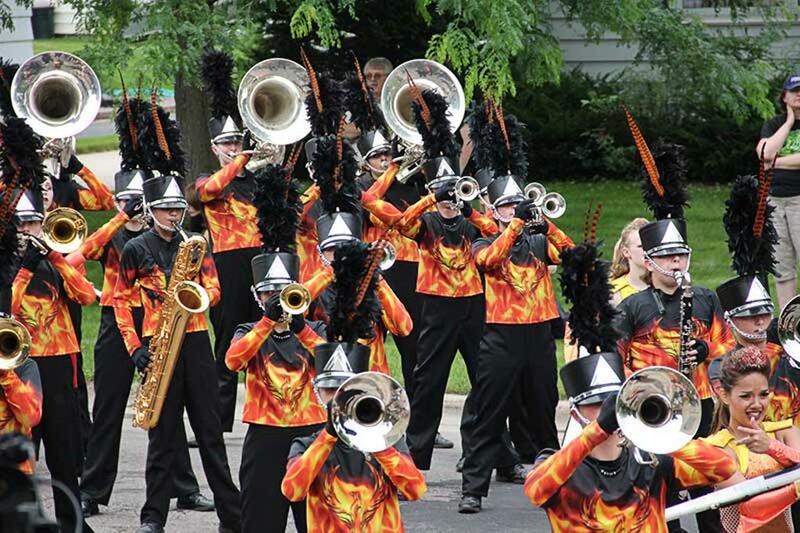 In fact, during a rain delay during this year’s Rosefest Parade, the Cadets enjoyed an impromptu student-led jam session with the St. Michael-Albertville and Richfield marching bands. "The camaraderie between schools made a lasting impression on the Cadets" said Cindy Martin, Cadets board member. This season's staff consisted of Mike Reed and Joe Jaeger (Head Directors, Music and Percussion Instructors respectively) Keith Saxton, (Music Instructor), Jonathan Su, Carrie Snyder, (Color Guard Instructors), Jake Esterberg, Roberto Munoz, Joey Wattenhofer, Mark Walentiny, Matt Brisbin, Nick Campbell, and Hannah Maher (Techs). 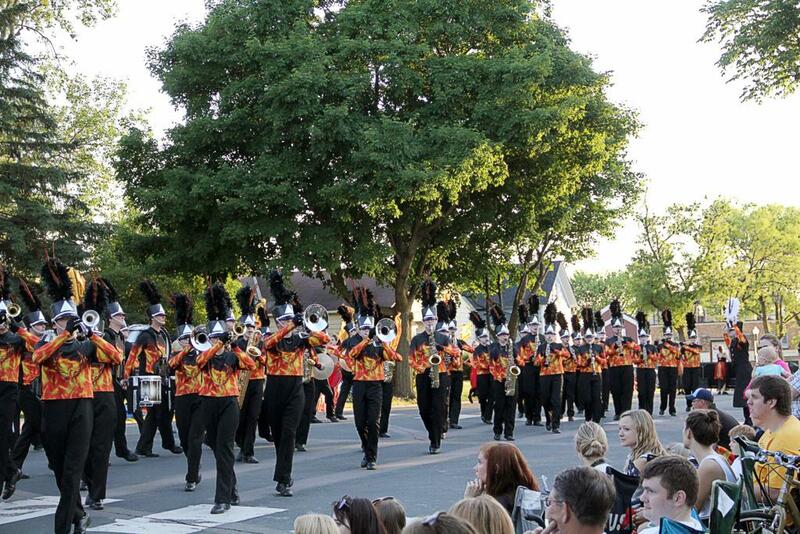 The music arrangements as well as band drill were created by Mike Reed and Joe Jaeger. On August 1, 2015, the Cadets were proud to lead the cancer survivors lap during the 2015 Elk River Relay for Life as well as perform the Star Spangled Banner for the ceremony. 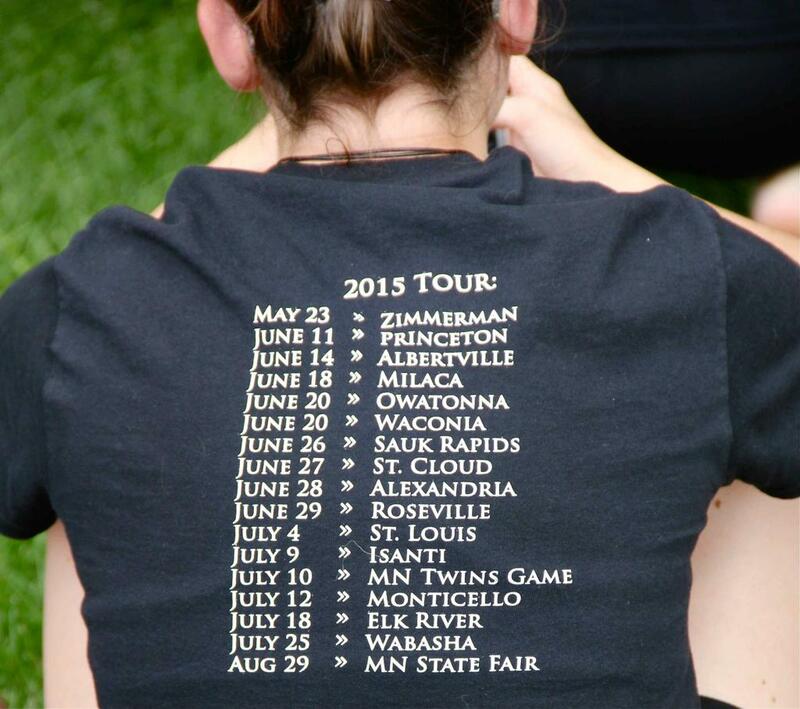 Looking forward the Cadets have one final performance on August 29, 2015 at the MN State Fair.